Brushed stainless steel body and handle with a polished steel rim. 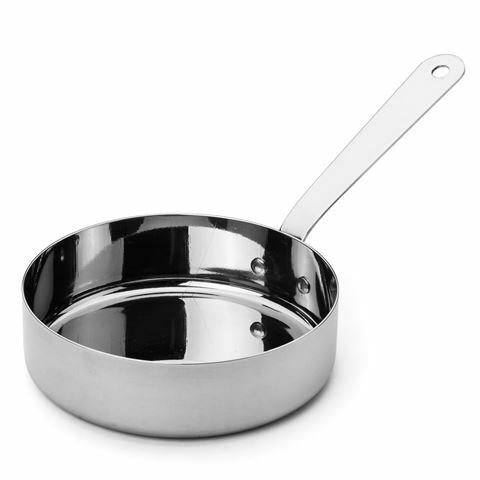 Chef Inox Miniatures cookware features stainless steel handles, which may become very hot during use – especially when used in the oven. Please ensure you use an oven mitt when handling hot Chef Inox cookware. Dimensions: 12cm (w) x 3.5cm (h).